Zünd will present the full gamut of production scenarios available to print service providers and advertising professionals at the Global Print Expo 2019 in Munich, Germany. The Global Print Expo 2019 promises no less than an "explosion of possibilities" for attendees in advertising, wide-format and digital printing. At the Zünd booth, visitors can expect to experience the full diversity of Zünd digital finishing solutions. Print service providers and graphics professionals are always on the lookout for technological innovations to open up new opportunities, markets, and applications. Visit Zünd at stand F30 in Hall B5 to learn how substrates can be processed in many ways, productively and with utmost flexibility. Zünd cutters have been setting new standards in digital cutting for decades. They are the ideal choice for anyone looking to economically produce high-quality graphics. From acrylics to cardboard and fabric, multi-functional Zünd cutting systems can process a wide range of substrates. Equally varied are the available processing methods, ranging from cutting, folding, creasing, and perforating to routing and laser cutting. "Print service providers and advertising professionals are under a great deal of pressure to produce individualized products in small and micro quantities, efficiently, economically, and within ever shorter delivery times. Zünd offers cutting solutions that meet these requirements while ensuring maximum productivity and profitability." 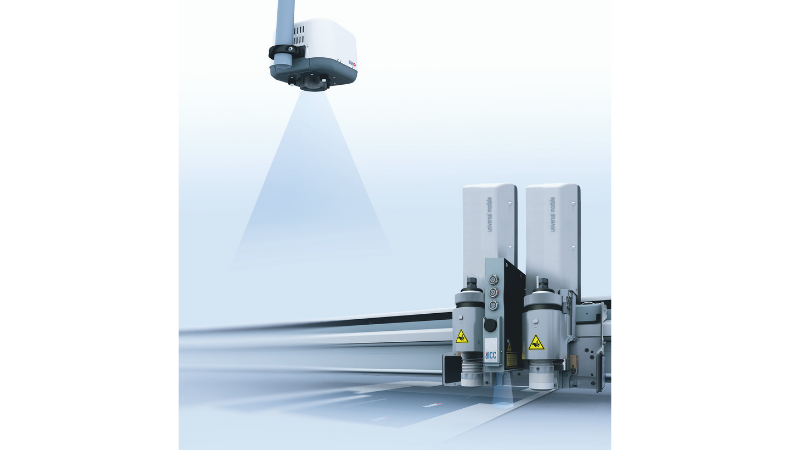 With the RM-L routing system, Zünd is showing a powerful routing solution in every sense of the word. This tool's 3.6 kW power and unrivaled performance open up the widest possible choices of heavy-duty materials. And with the automatic tool changer ARC, the user can turn router-bit handling into a completely automated process. Digitally printed fabrics are the hot advertising medium these days, and it comes as no surprise that innovative and universally applicable digital cutting solutions such as the Zünd G3 cutter are in especially high demand for this application. At Fespa a G3 cutting system will be shown cutting, among other things, textile rolls up to 3.2 m/10 ft wide. To provide a hands-on experience of what maximum productivity looks like in real life, a Zünd D3 dual-beam cutting system will be on display as well. The two beams can each accommodate up to three different tools, and depending on the cut file, deliver up to twice the productivity of a single-beam system. Additional workflow options are provided by Zünd Cut Center ZCC with a new, high-speed registration system. In seconds, the Over Cutter Camera OCC automatically captures the position of the materials to be cut and any distortions that may have occurred, and cutting begins almost immediately. The OCC system is now also available for the S3 and D3 cutter series. At the Global Print Expo 2019, you will be able to see an S3 equipped with it in action. FESPA Global Print Expo 2019 is Europe’s largest speciality print exhibition for screen and digital wide format print, textile printing and signage solutions. Visit Zünd at stand F30 in Hall B5 at the Messe Munich between the 14-17 May 2019 and discover the available features. Please use promo code FESG902 to register for free.